Magvent Dryer Vent — "MagVent Has Manufactured an Extraordinary Product." “MagVent has manufactured an extraordinary product. For a decade, with frustration I have had to periodically move our gas dryer in an extremely tight location. This required contortionist maneuvers for a poor outcome. One instance was for a purchase of a new dryer; other times were to reestablish the duct connection to limit dust and lint. Then last month, our gas dryer stopped functioning. We were preparing to purchase a new one; however, I thought it was time to assess the entire duct system. 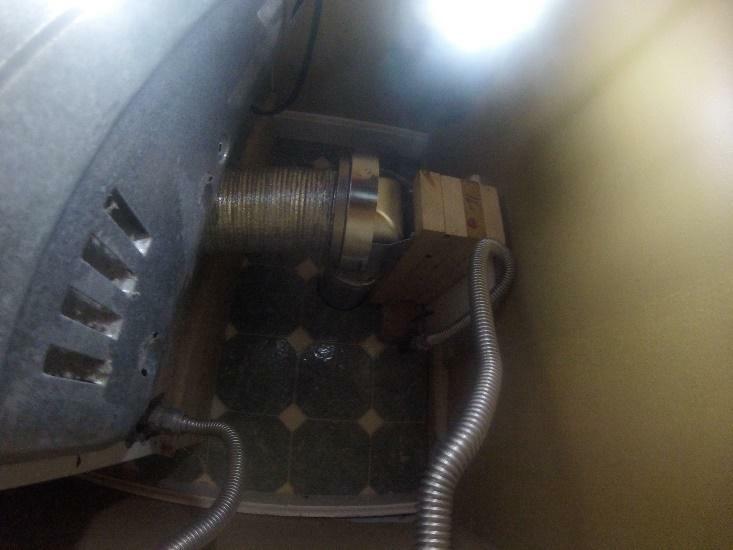 The duct consisted of a two-foot flexible duct from the dryer that proceeded to an elbow below to the basement ceiling. The prior home owner’s addition had a ten-foot horizontal section to the exit, which involved another three-foot flexible duct. This was not ideal because there was a total of five elbows. I cleaned the entire duct length; the amount of lint could have stuffed a small pillow. I discussed my problem with a co-worker, and we searched the Internet and found your advertisement. It was challenging to adjust the “periscope” matching height to my dryer pedestal. At the conclusion of the project, the magnet connection was about as exciting as docking the space station. Using my son’s GoPro camera and a light on a string, we inspected the coupling. With your MagVent 90, the only flexible duct is from your product—just inches at the dryer; and the total elbow count was reduced to four. The best part: The gas dryer works; it must have been a heat and vent sensor. We feel safer that a clogged dryer vent fire hazard has been prevented. The old disconnected dryer elbow serves as airflow for the tight space. We saved $700 by canceling our new dryer order. I am now more informed, and I have told others about your invention. Please refer to the photos; the old elbow duct is on the left, and I drilled a new hole for optimal positioning.” Kevin C.